In 2018, there will be an estimated 1.7 million new cases of cancer diagnosed in the U.S., with that number estimated to be 23.6 million worldwide by 2030. Thankfully with advances in medicine, the number of survivors of the disease is also on the rise.  The National Cancer Institute reports that in 2016 there were 15.5 million cancer survivors in the U.S. and that number is expected to increase to 20.3 million by 2026. Cancer Survivorship is an area that continues to be studied, as practitioners seek to help patients learn to live life beyond cancer. 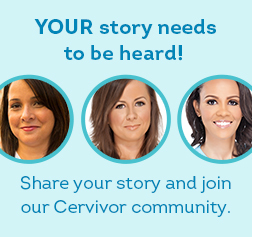 Cervivor has found that many cancer survivors emerge on the other side of the disease ready to tackle life, but often what is waiting for them is an unhealthy lifestyle. Obesity is a known factor for the development of other co-morbid illness, prevalent in cancer survivors such as diabetes and heart disease and can feel like an up hill battle. Survivors regularly struggle with depression, anxiety, motivation, and weight issues that are often intertwined and connected to one another. We see and hear this message consistently and decided to do something about it. 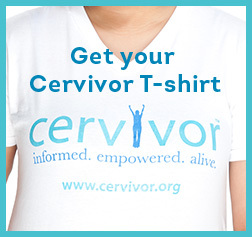 In January 2018, Cervivor re-launched a project called “Survivor Slimdown.” Survivor Slimdown is an online group aimed to support ALL CANCER survivors in their fight to live a healthy and balanced lifestyle after a cancer diagnosis. While we are a “slimdown” group, we aim to address and support all survivors and recognize the connection of mind, body, and spirit. 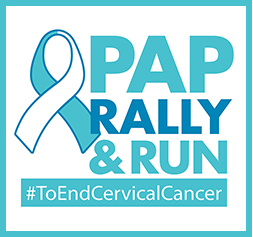 We currently have 70 members engaged in our private online group, led by cancer survivors Patti Murillo-Casa and Holly Lawson. 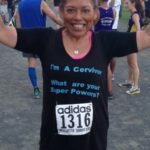 Patti Murillo-Casa, Survivor Slimdown admin AND in-house fitness guru. Holly Lawson, Survivor Slimdown admin, finishing her first post-cancer 5k. Patti is a retired New York City police officer turned fitness guru. After her battle with cancer, she lost over 100 lbs! She is a Certified Personal Trainer, Certified Senior Fitness Specialist, Pound Pro Instructor, and Spinning Instructor just to name a few. Patti assists in the administration of our online group, ensuring information being shared is safe, accurate, and cutting edge. 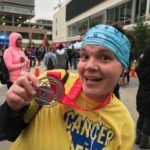 Holly had just completed her 4th half marathon when she was diagnosed with cervical cancer in 2016. She had extensive complications from treatment that left her inactive for two years. Holly is determined to regain her health and fitness. She and Patti pack a power punch. They love leading the Slimdown group as active participants on the constant journey of health. 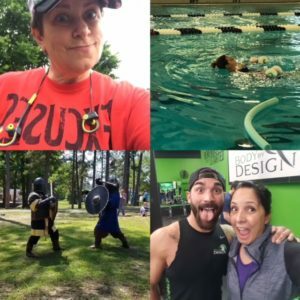 Survivor Slimdown provides daily motivation with “Fit Tips” and regular challenges, to keep members engaged and motivated. 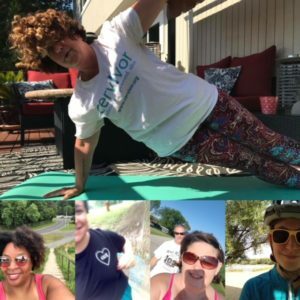 The group is constantly sharing recipes and tips for living a balanced lifestyle. However, it truly is the spirit of our survivors that makes the group so dynamic. 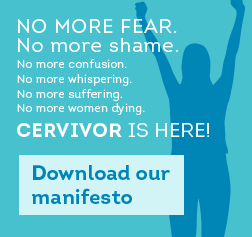 Survivors understand one another and can encourage one another in the quest for health in ways others simply cannot. Survivors keeping one another motivated and challenged! They understand! Survivor Slimdown participants are staying active with everything from walking, running, personal trainers, sparing, and water aerobics! Do you find yourself feeling stuck and unmotivated to be active and live healthfully? Do you want to be on this journey with people who get you? Would you love to have accountability, recipe sharing, daily Fit Tips, and regular challenges for yourself? 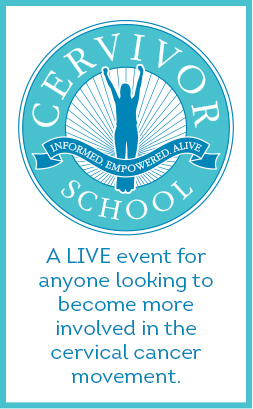 If this is you, we invite you to join us. We welcome all cancer survivors, male or female-no matter what the diagnosis, to join our online group. We understand cancer survivors, we understand finding your way in Survivorship, and we understand the desire to live a healthy balanced life after cancer. 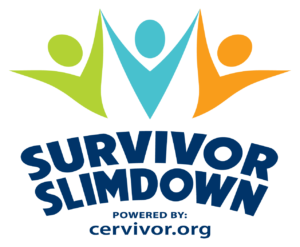 Come join us in Survivor Slimdown! 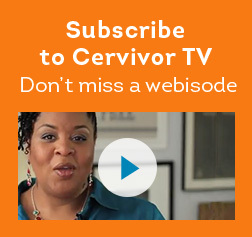 Click here to join Survivor Slimdown!